Recent reports in the Polish media have shown that the fire regarding the issue has not yet died out. 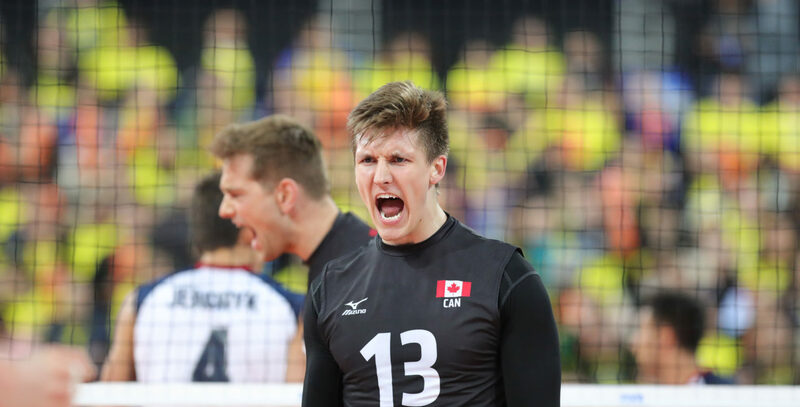 Canadian and Lube Civitanova‘s fans were met with bad news this week as the team announced in its official website that newly signed Ryley Barnes has suffered a serious ankle injury during training with the national team. The 6’6″ 24-years-old OH, an Edmonton native who played his college ball at the University of Alberta, has just recently joined the team, transferring out of Russia’s Ural Ufa. Although not much yet is known of the extent of Barnes injury, Lube’s release has stated that ligament damage, as well as a fracture, have been confirmed. The team is in close contact with Canadian doctors to further attest the situation. The injury is really unfortunate for Barnes, as he was about to finally break-in the world’s biggest and most lucrative league. As for Lube Civitanova itself, it’s one more chapter in the never ending struggles between club and national teams. The clubs pay the players’ salaries, who barely make any money from their national teams, develop the players’ skills, only for them to join their national squad tired and fatigue after league play, when they are supposed to rest from the season, get injured, and lose the club money. That is why more and more players are choosing to retire from their national teams at a young age.